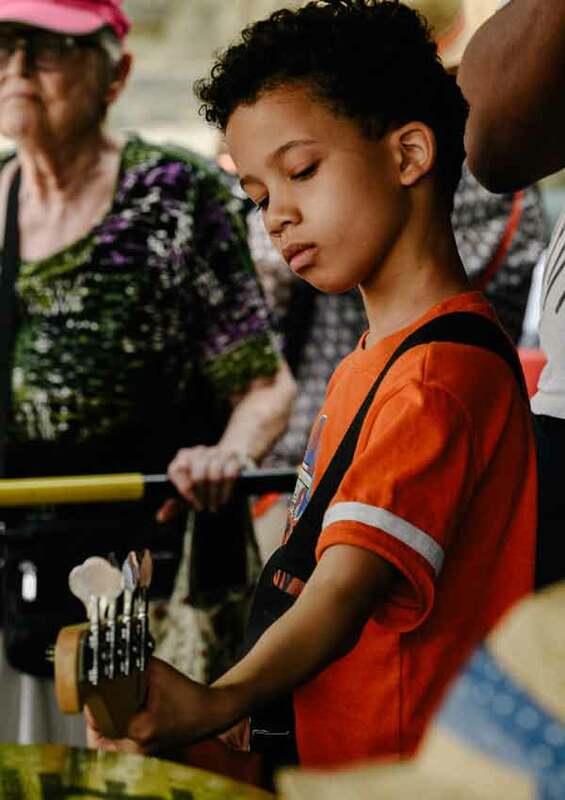 Rock U. is a performance-based rock band program for kids, teens and adults that is as rewarding as it is fun! Being in a rock band isn’t just about playing the notes and the beats. It’s about responsibility, confidence, teamwork, trust, and the thrill of creating something with others that you could never create by yourself. We’ll rock out for sure, but more importantly we’ll learn how to make music together as a band in a supportive, fun environment. Every Rock U. session will conclude with a live performance for a real audience. Our Rock U. teachers are committed musicians who love music and love to teach. 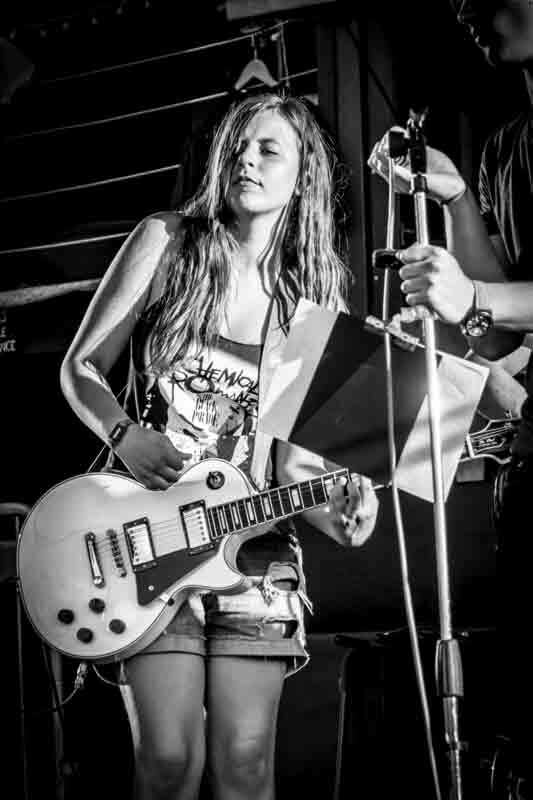 Your band practice will be led by a working, performing musician who once stood in your shoes and knows that playing for an audience is one of the best feelings in the world! Your private lesson will be given by a professional, credentialed music teacher who will work with the Dean and band instructors to make sure your learning experience is tailored to your individual needs. Rock U. provides the practice or lesson space and most instruments (guitar, bass, drums, keyboards, ukulele and many more). 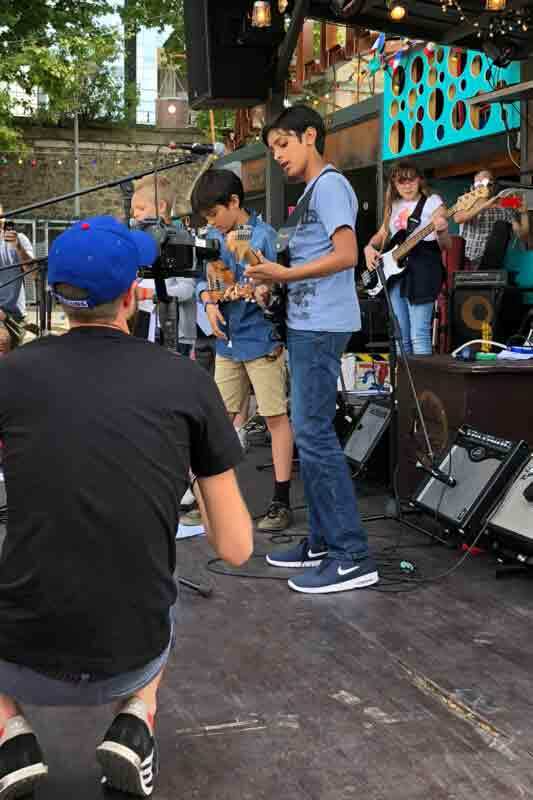 Matt Black has worked as an educator for more than 25 years, but gets big thrills as a guitarist and vocalist with beloved Paris party band The Doodads. Matt works with Rock U. students on the techniques of playing together to craft a live band performance. In 2012, he searched for a rock band program for his daughter – and when he couldn’t find one, he founded Rock U. instead! 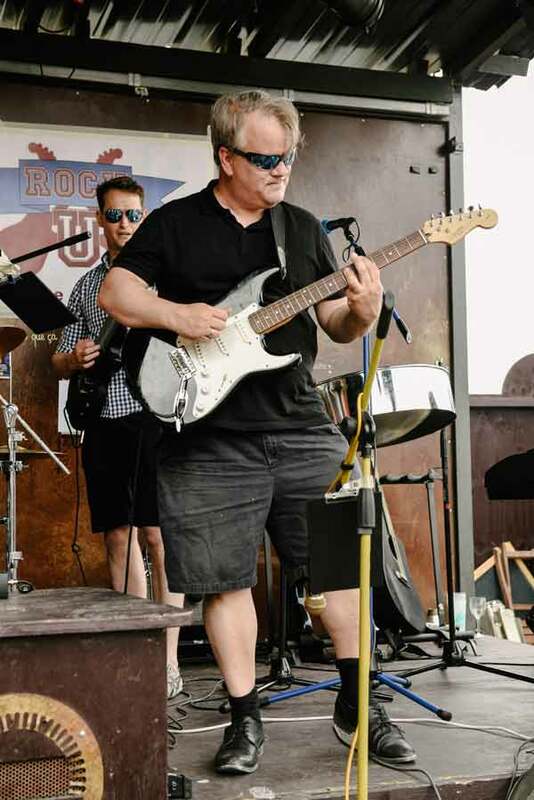 Doug Stanley spent 10 years teaching and playing music in the Big Easy, New Orleans, USA. He earned his degree at Loyola University there. His specialty is horns, especially saxophone, but he enjoys jamming on any instrument. Mr. Doug can teach you to play anything you can blow into! Doug is Assistant Dean of Rock U. and coordinates many of our projects. 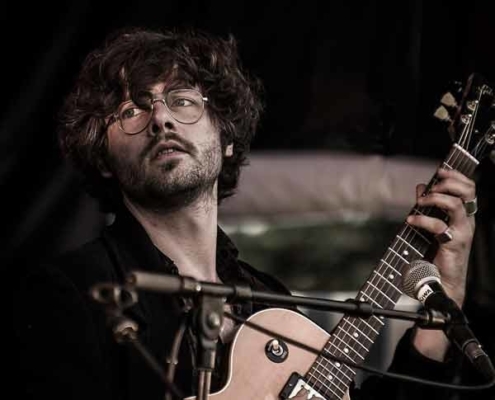 Andy Guthrie is an American musician based in Paris. He has an M.A. from Tulane University in Music Composition. He has four albums of original music to his credit and has taught as a band director in New York. 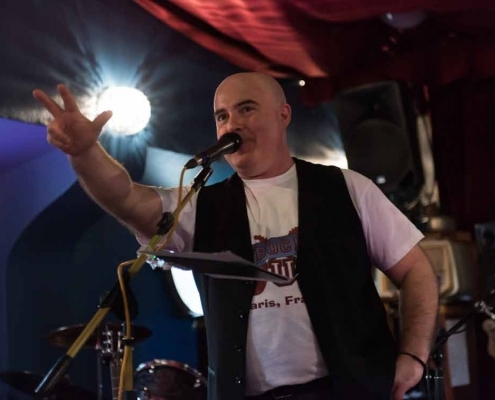 Andy directs musicals every year at Marymount International School in Paris, and performs regularly in and around Paris, including with The Doodads and his own ensemble. A 2010 graduate of The University of North Texas, where he studied extensively with Ed Soph, Rory performed for two years on cruise ships before moving from his hometown of Edmonton, Canada to Paris, where he plays and teaches full-time. Rory has played professionally in styles ranging from Rock, Latin, Classical and Jazz, and recently published his book "Drums: The Ultimate Guide“. 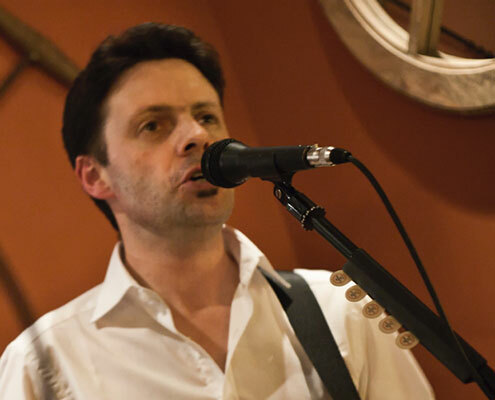 DrKev is a musician, guitar teacher, guitar technician, and ex-physicist. Kevin has been playing the guitar for 25 years, and has played more than 1500 concerts, working with musicians from all over the world. 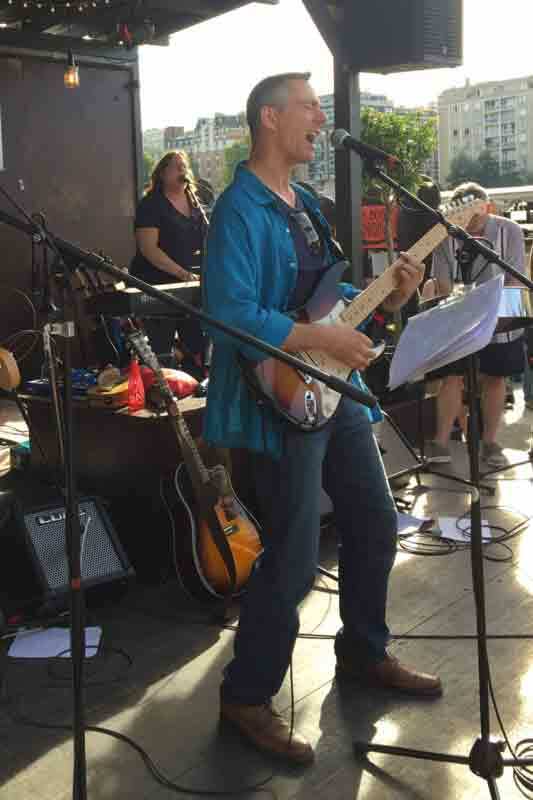 He teaches, folk, rock, pop, blues, country, soul, and funk to students ranging in age from 10 to 70 years old. Check out his website at DrKevGuitar.com. Dr. Kev also keeps Rock U.’s guitars in top form! 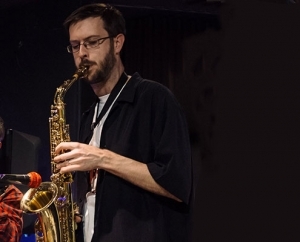 Jonathan Crocco is a 2001 alumnus of the prestigious Berklee College of Music, where he studied with Ian Froman (a protegé of Elvin Jones) and Bob Gullotti, among many others. 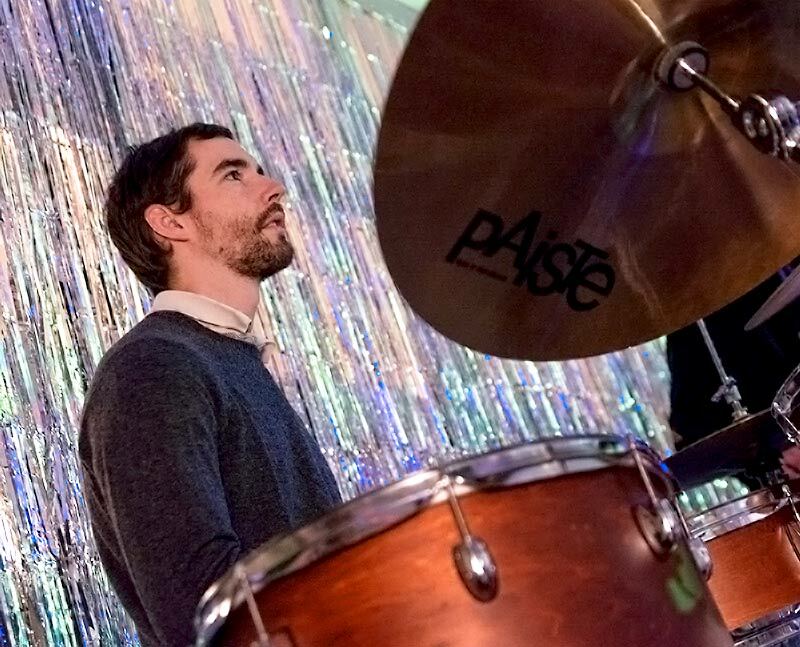 He has been teaching drums in France since 2003, and masters percussion disciplines from the West African Djembe to the classic American drumline. He is also the inventor of the Universal Meter of Music, an evolution in music notation. 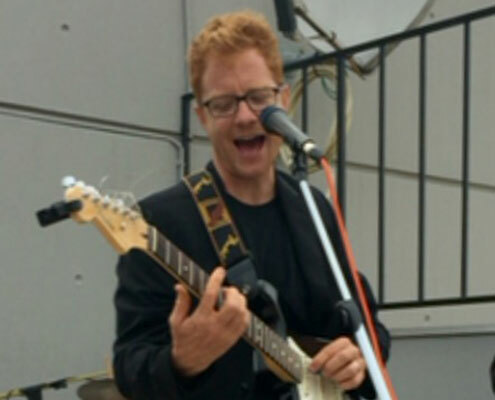 Leander Lyons studied jazz guitar and conducting at the State University of New York. 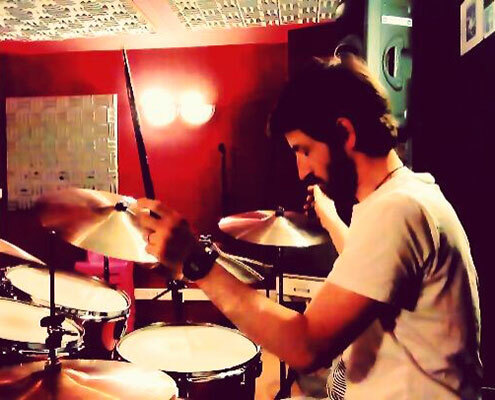 Since 2007, he has lived between Paris & London, composing and performing live on guitar, keyboards, vocals, bass and drums with artists such as Miossec (Columbia Records). He has taught (with a passion) for over 15 years and will be offering private lessons on Thursdays and Fridays at Rock U. this year. 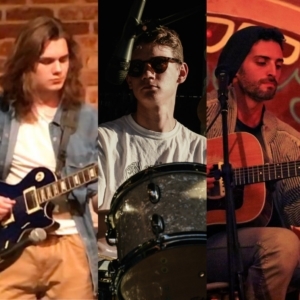 Léo, Andrew, and Jason bring strong backgrounds in multiple musical settings, instruments, and styles to working with our bands in the studio. 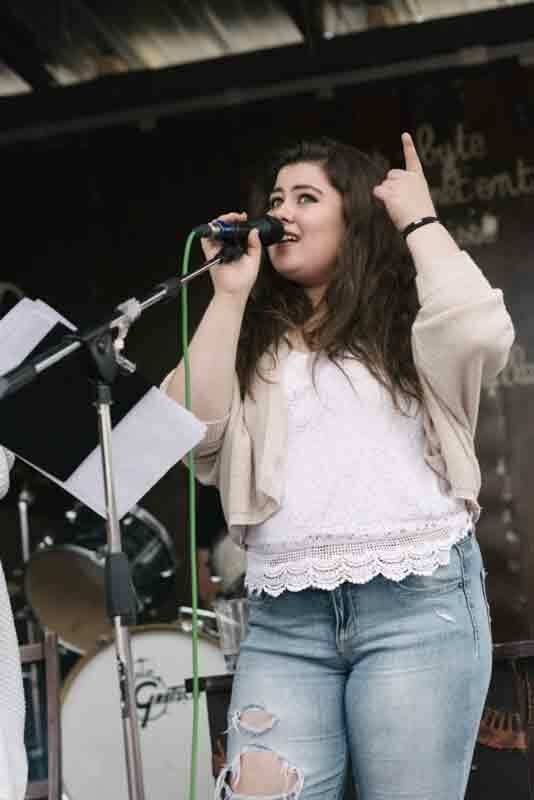 All three are experienced multi-instrumentalists who love helping our students craft their live performances. Who can participate in Rock U.? 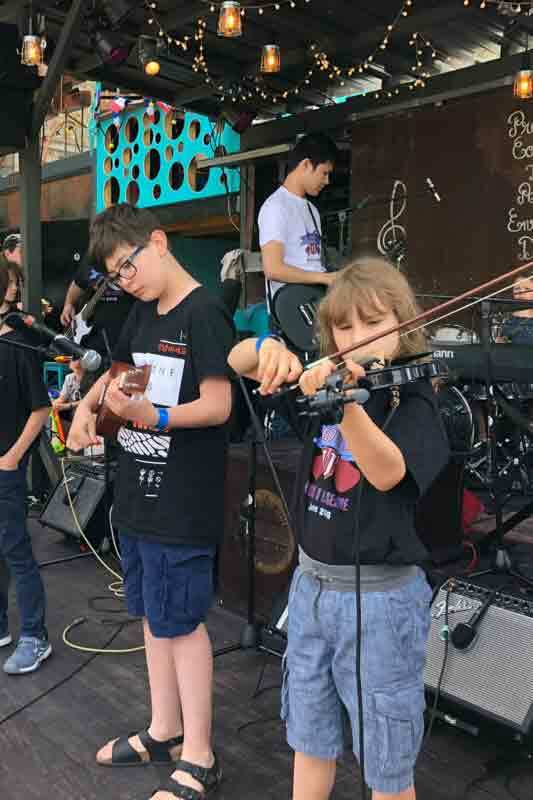 Rock U. is offered to English-speaking Paris-area students in grades 3-12 who already play an instrument. And we offer adult bands, too! My child speaks some English but is not a native speaker. Will he/she be able to keep up in Rock U.? Absolutely. Many of our students speak English as a second or even third language. Rock U. is a great way to practice English for non-Anglophone students. Rock U. practices take place at our studio space at 22 ave de Suffren in the 15th arrondisement of Paris, just 300 meters from the Eiffel Tower! Rock U. concert performances are usually free and open to the general public, and occur at music venues in Paris. Rock U. groups practice once per week for 90 minutes during each three-month session. Click the “Sessions” tab above for details. 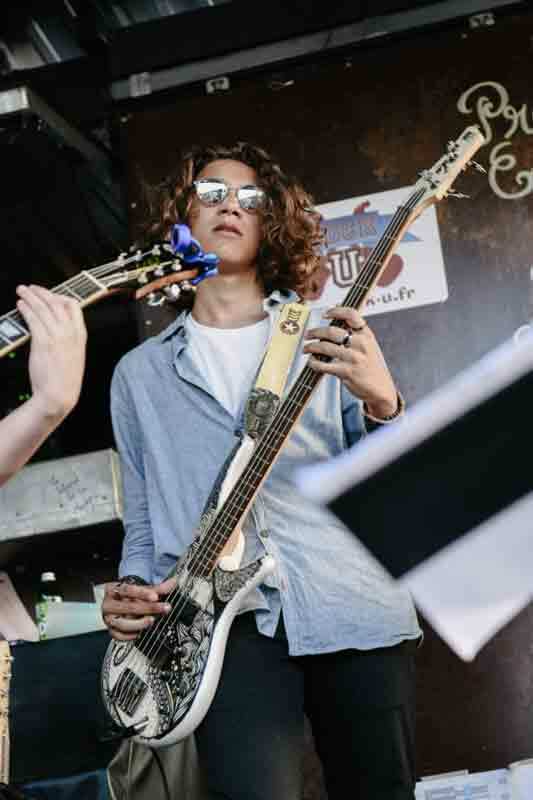 The primary instruments in the Rock U. program are guitar, bass, keyboards, drums, ukulele, melodica, harmonica and percussion, but any instrument that can be played onstage in front of an audience has the potential to become part of the Rock U. ensemble. Past Rock U. bands have featured flute, trumpet, saxophone, violin, mandolin, kazoo and cello in addition to the instruments above. My child sings but doesn’t play an instrument. Can he/she still participate? Yes, we are happy to have some singers in the band! However, kids who ONLY sing may have fewer opportunities to participate than those who also play instruments. Interested beginners will have a chance to try out other instruments, at all age levels. Will the Rockers learn how to play their instruments? Rock U. is NOT meant as a substitute for music lessons, but works best as a supplement to other musical instruction. 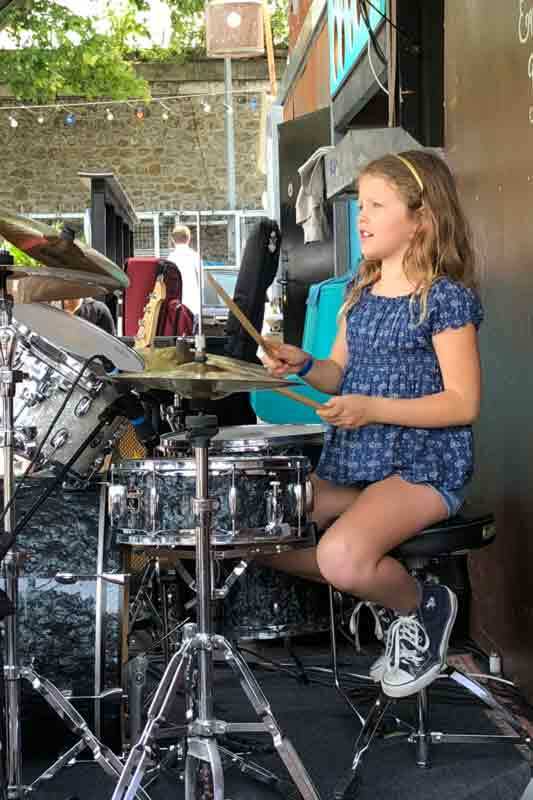 While the kids will certainly pick up some tips and tricks, the focus of the Rock U. experience will be in learning to play together as a band and putting on a live performance, not on individual technique. What does it take to join the Rock U. audition-only groups? Rock U. Jr. Varsity and Varsity bands are reserved for experienced musicians who want to attempt more challenging material, and participation is by audition or approval of the Rock U. staff only. If your rocker isn’t yet advanced enough to join one of these groups, but progresses to that point during the year, he or she can always switch at the start of the next session.